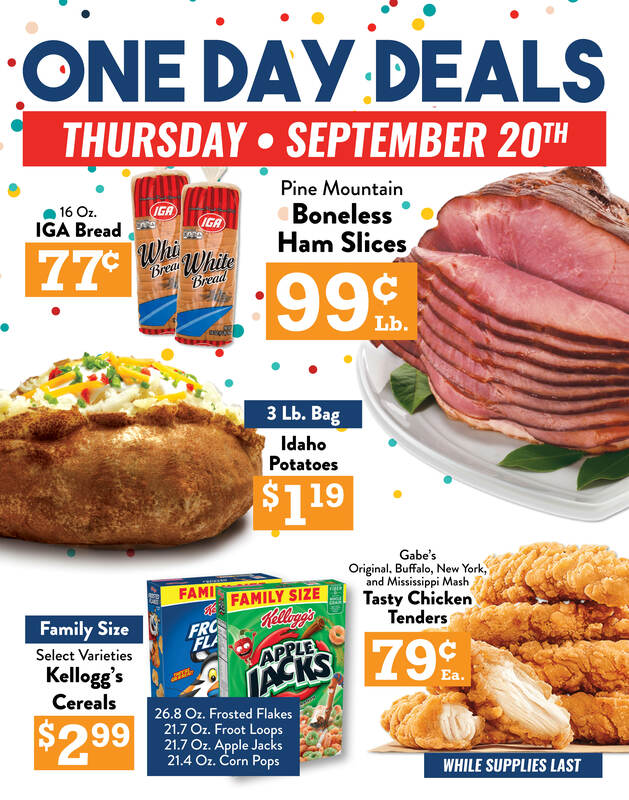 ONE Day Deals! Hurry In While Supplies Last. Select Locations Only. Valid at our IGA Jasper, IN, Huntingburg, IN, Ellettsville, IN, Princeton, IN, Oakland City, IN, Evansville, IN, Rockport, IN, Olney, IL, Sabina, OH, New Carlisle, OH, Enon, OH and St. Paris, OH store locations.